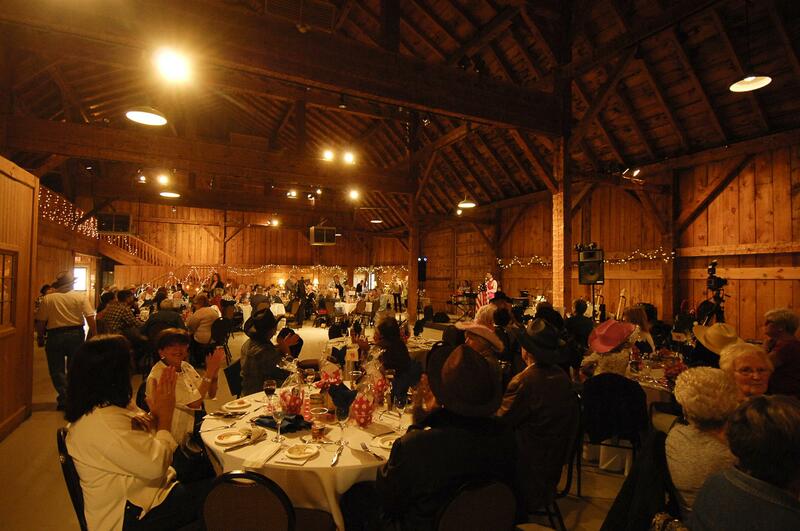 Guests, Rotarians, family and friends will enjoy food and fun in support of a great cause at the Gambrel Barn at Country Heritage Park on Saturday, April 27, 2019. Doors open at 6:30 pm. Net proceeds go to worthy local causes supported directly by Milton Rotary: Milton District Hospital Foundation (Pediatric Waiting Room) and Townsend Smith Foundation Hospice. Come celebrate with dinner, dancing and denim! Dress up in your finest Western wear. Enjoy line dancing and traditional dancing too, with the sweet sounds of Milton's own live band, The Groovy Brothers! A delicious multi-course buffet dinner will be offered by MidKnight Catering. Dance the night away and bid on live and silent auction items. There will a photo booth, too. Dancing will be a mix of line dancing and traditional dancing, so don't be shy if line dancing isn't your thing! There's something for everyone. Doors will open at 6:30 pm, with dinner starting at 7 pm. Regular priced tickets are $90 each. Buy a table of eight seats and SAVE $$$! Tables are priced at $680 (8 x $85). 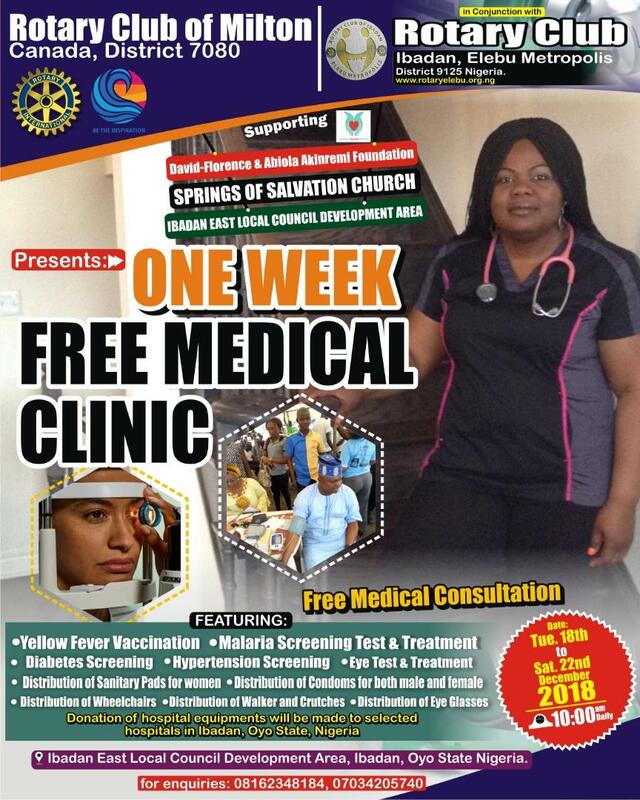 The Rotary Club of Milton is supporting a Free Medical Clinic in Nigeria being hosted in December 2018. Organized by one of our own members, Abiola, a shipping container full of medical supplies is being delivered to Nigeria in advance. 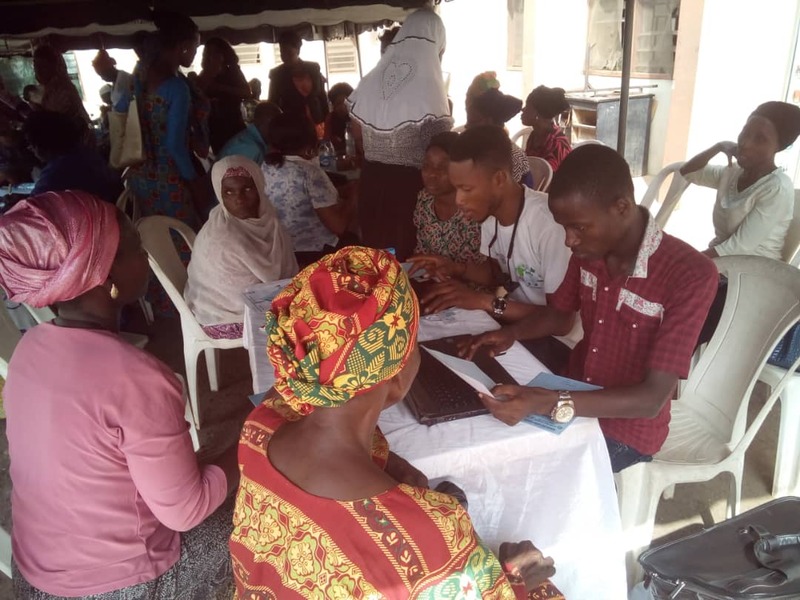 In December, Abiola and a team of volunteers, are traveling to Nigeria to host the free clinic for a week. 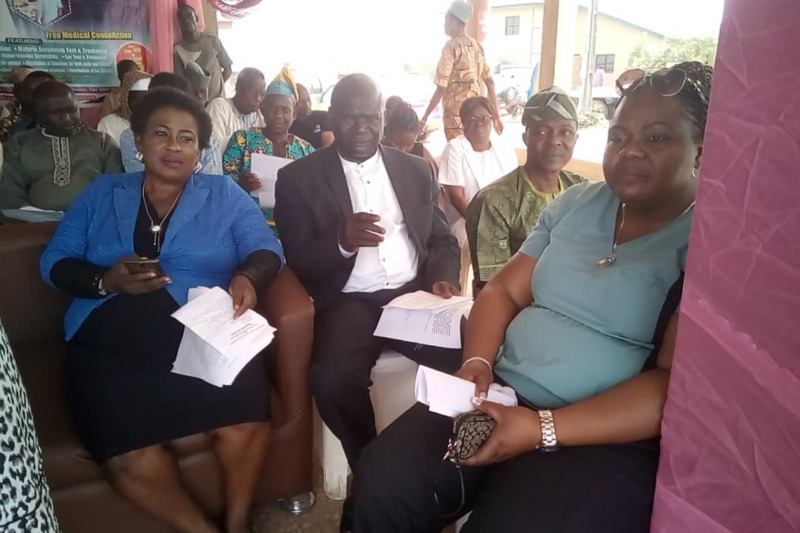 This clinic will provide basic care to some of the poorest people in the area, who do not have access to basic medial care. Thank you to the volunteers who helped donate medical items, as well as helped to organize and load the shipping container. If you would like to get involved or have any questions, please contact us. We would love to hear from you! Once again, it is time for Annual Rotary Online Auction from November 3rd to 17th! Good stuff. Great deals! Help us, help others! Get restaurant gift certificates, sports tickets, golf packages and so much more. Just in time for the holidays. Go to www.rotaryonlineauction.ca to start bidding now! 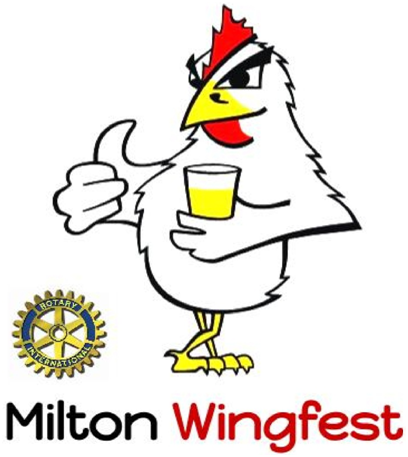 This fundraiser is going to translate into significant donations to Milton Rotary's charitable projects and organizations, our own club's local youth development projects such as our volunteer awards and bursaries for Milton high school students. The auction is a joint endeavor with the Rotary Clubs of Oakville-Trafalgar and MississaugaWest, Kitchener, and now Burlington North with all funds raised in Milton staying in Milton. Special thanks to our tremendous sponsors and local businesses who have already donated items. Without their support, we could not help others. Also, a big thank you to all of those who went online to bid on items last year. We encourage you to do so again this year. On February 5 Norm Binden presented the club with a cheque for $2000USD representing the District Grant contribution to our $4000 donation to Kids Against Hunger. 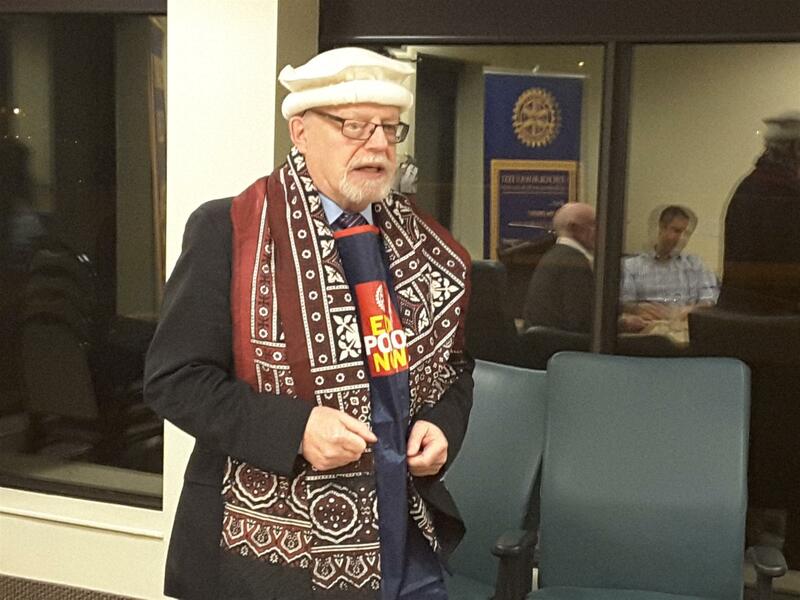 Norm also shared his experiences from his recent trip to Pakistan on a Polio mission. Thank you Norm! Once again, it is time for Annual Rotary Online Auction from November 4th to 18th! Good stuff. Great deals! 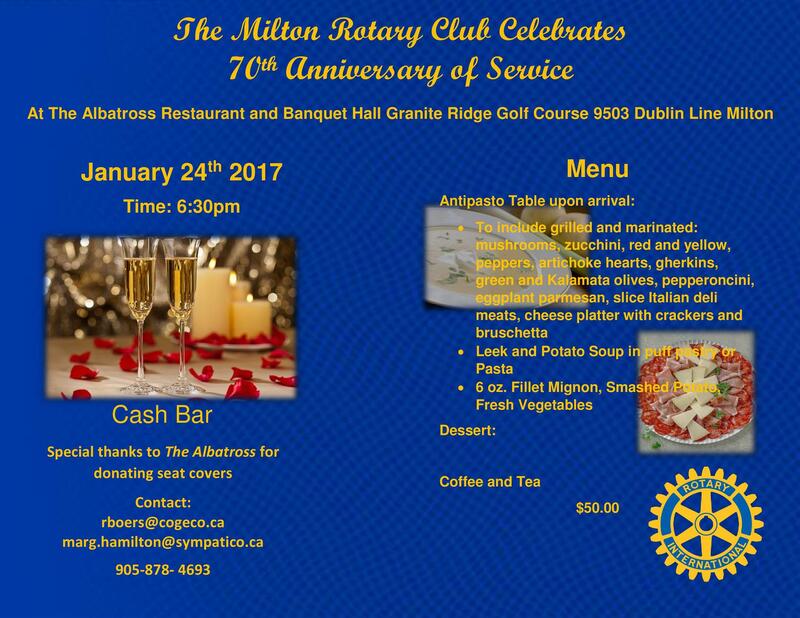 This fundraiser is going to translate into significant donations to Milton Rotary's charitable projects and organizations, our own club's local youth development projects like dictionaries for all grade 3 students and volunteer awards and bursaries for Milton high school students. Special thanks to our tremendous sponsors and local businesses who have donated items. Without their support, we could not help others. Everything is 100% volunteer driven and our main expenses are credit card processing, advertising, marketing the auction itself, and paying for the warehouse facilities to store the items. The Rotary Club of Milton's 4th annual Denim and Diamonds Dinner/Dance was held April 22 2017. It was a spectacular event and we raised $5000 towards the Pediatric Family Lounge at Milton District Hospital. A scrumptious dinner was provided by MidKnight Catering. 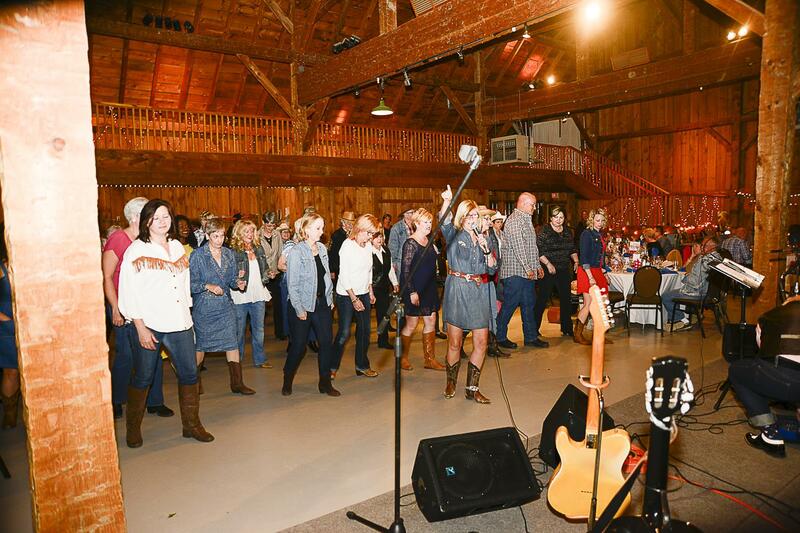 Tammy Wyatt's line dancing lessons brought everyone to their feet- even those of us with 2 left feet!. The Groovy Brothers kept the music flowing and the dance floor full to the last song when the lights came on. Thank you to all our sponsors who donated to our live and silent auctions. And most of all, thank you to everyone who attended- we couldn't do it without the support of our family, friends and community. Guests are always welcome to our meetings. Come out and learn about our club, network and connect with new contacts. Rotary is a global network of community volunteers. Rotary members are business, professional, and community leaders who provide humanitarian service, encourage high ethical standards, and help build goodwill and peace in the world. Over 32,000 Rotary clubs in more than 200 countries and geographical areas initiate service projects to address today’s challenges, including illiteracy, disease, hunger, poverty, lack of clean water, and environmental concerns. 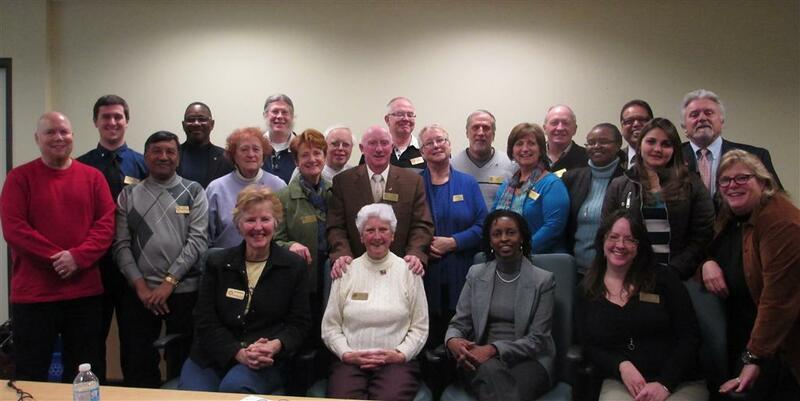 What do Milton Rotarians do? SERVICE ABOVE SELF... by helping the youth of our community & its organizations. Socialize at summer barbecues, St. Patrick's Day festivities, Halloween Dances, etc. To learn a little more, click on the video immediately below. For more information, contact Madison Twose by e-mail: madison2s (at) royallepage.ca or by phone at 647-981-4662. The Missing Piece is You! 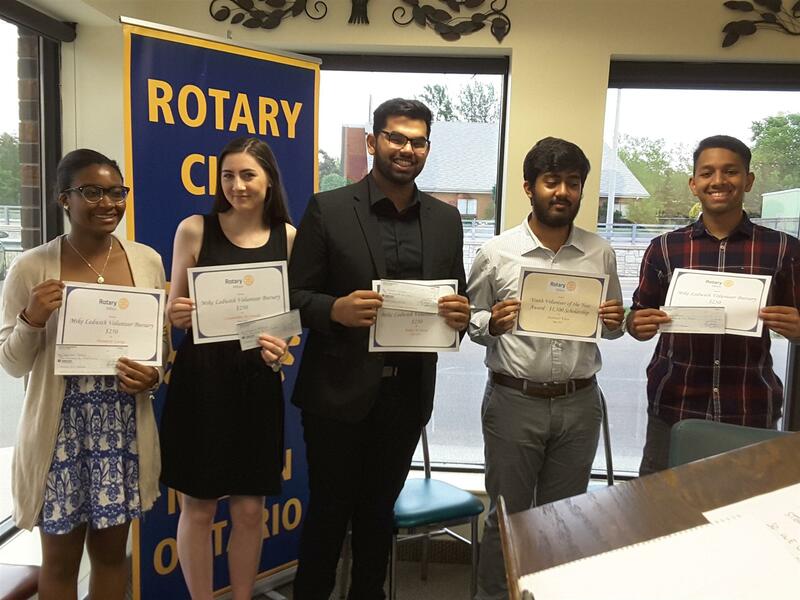 On Monday June 12 the Rotary Club of Milton presented Bursaries and Awards in recognition of community Volunteer support and academic acheivement. Winners of the Mike Ledwith Volunteer Bursary of $250 were Sparch Kapar ( Craig Kielburger SS), Shaunette George ( Craig Kielburger SS), Ashley D'Souza ( Jean Vanier CSS), Cassaungra McDonald (Jean Vanier CSS). Congratulations to all the recipients! Thank you for supporting your community through your volunteer efforts. Wishing you success in your future studies! 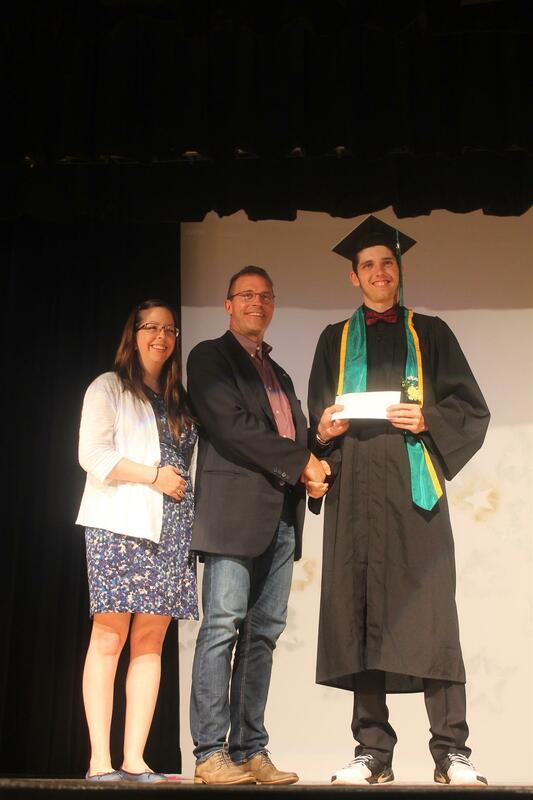 Meanwhile, on June 27th Rotarian John Lintack, who runs the Rotary scholarship and bursary committee, was on hand to present an award from Milton Rotary to a grad from EC Drury School for the Deaf. Rhonda McLachlan, who is fluent in ASL and is a friend of Rotary, was also on hand. We wish Brady Purvis good luck in his post secondary studies! 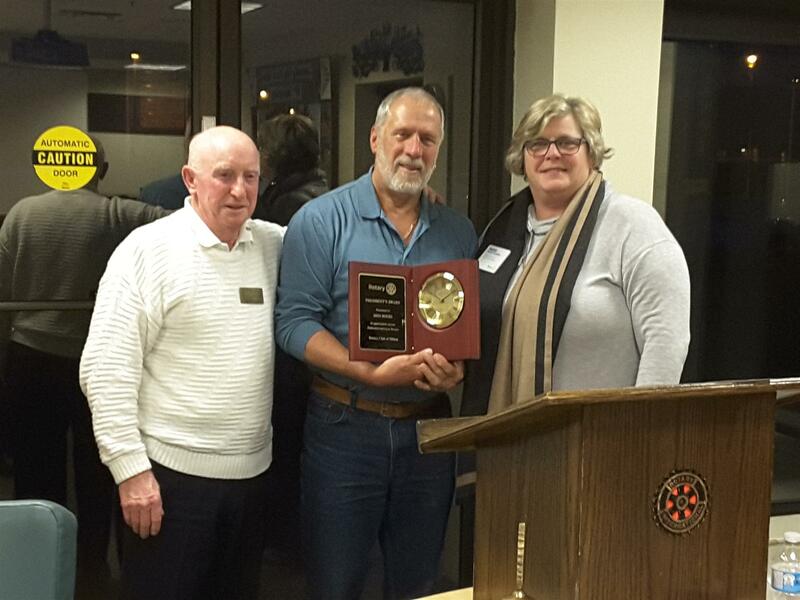 President Ingrid Hollinger, together with William Hamilton, present Ries Boers with the "official" President's Award in recognition for his service to the Rotary Club of Milton. Congratulations Ries! And thank you for being such a good sport at the 70th anniversary dinner when you were presented with an imaginary award. 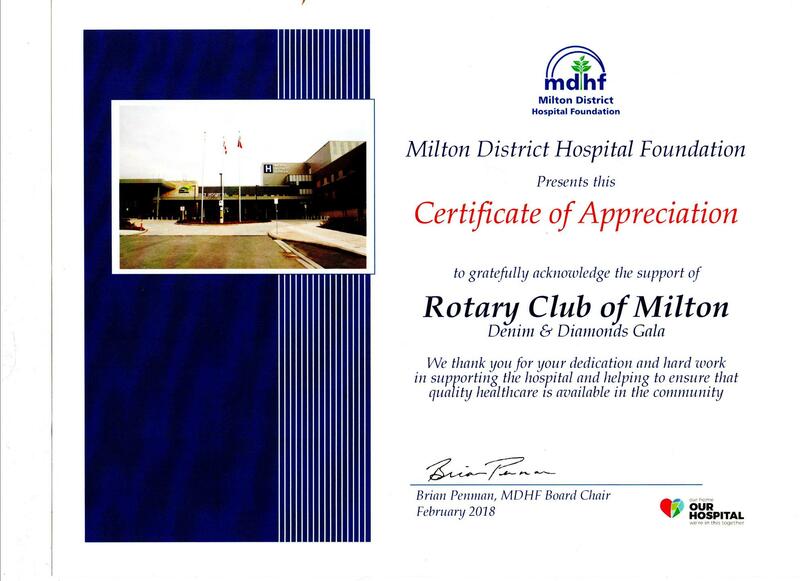 Every two months Milton Rotary supports the Canadian Blood Services clinic. 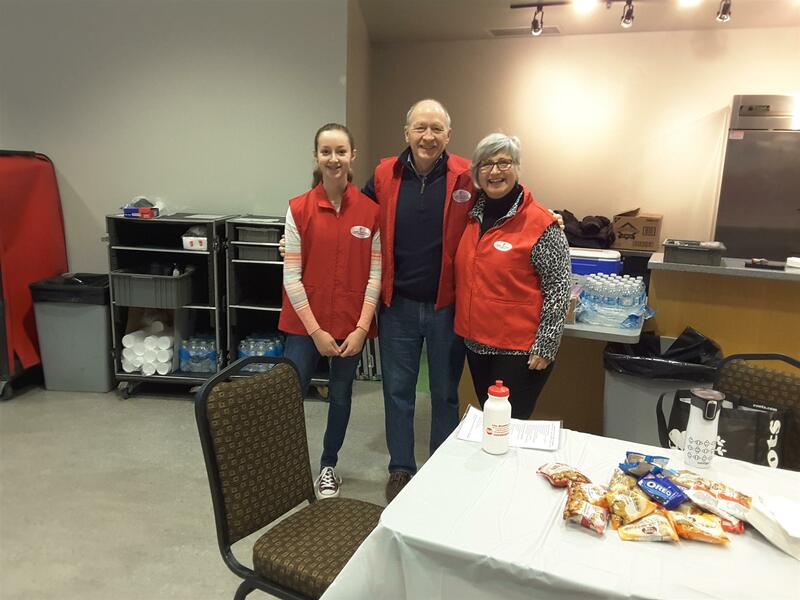 Thanks to Rotarians Barb and Rick Saxby, along with our community volunteers for assisting with refreshments after the donations. It is a great time to "take the pulse" of those in our community and to promote Rotary. The next clinic is March 11 - Come out and roll up your sleeve. Donating blood is an easy way to contribute to the health of our community! 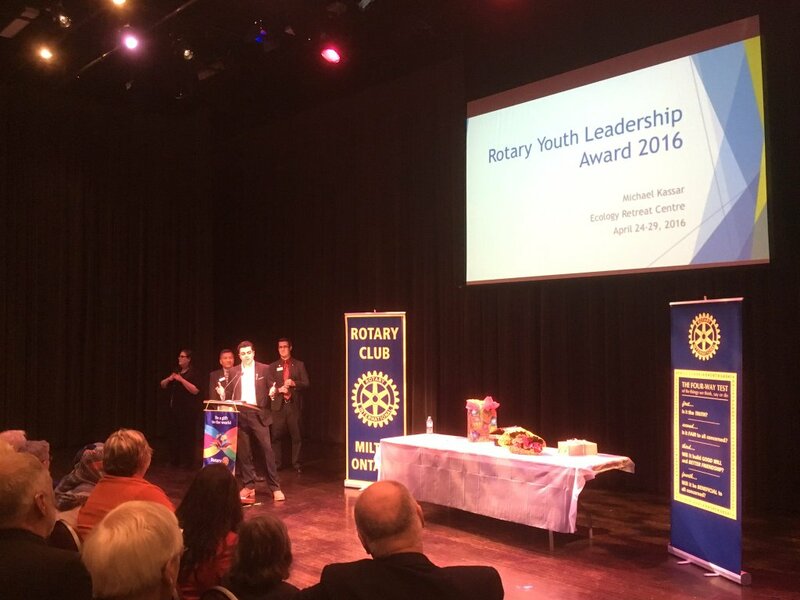 Congratulations to everyone at last night's Milton Rotary Awards Night (May 17, 2016). Roughly $20,000 was given away by Milton Rotary Club to Milton high school students (scholarships, bursaries, leadership training, Ottawa citizenship experience), dictionaries we are delivering for 1,700 Grade 3 Milton students, Big Brothers' Halton mentorship program, polio eradication overseas, the Rotary Foundation (polio, water, literacy, peace, projects), international youth exchange (1 Milton student is in Brazil, we are hosting 1 Japanese student), and much more... We also inducted two new members, Emmanuel Mensah and Madison Twose. Welcome! 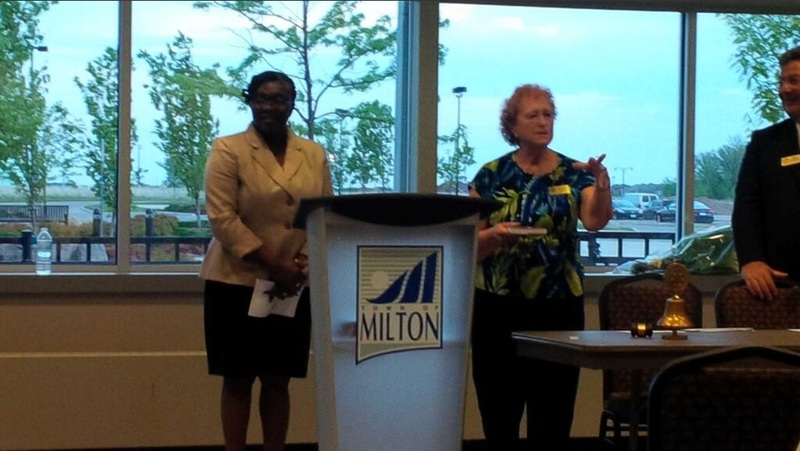 President Vino and MPP Indira Naidoo-Harris present the MIKE LEDWITH YOUTH VOLUNTEER SCHOLARSHIPS. Here is the platinum winner (top prize) Soumya Chaudhuri ($2,000). Michael Kassar who is formerly the chair of the Milton Youth Advisory Council with the Town of Milton, tells the crowd about his leadership training (RYLA), which was funded and organized by Rotary. 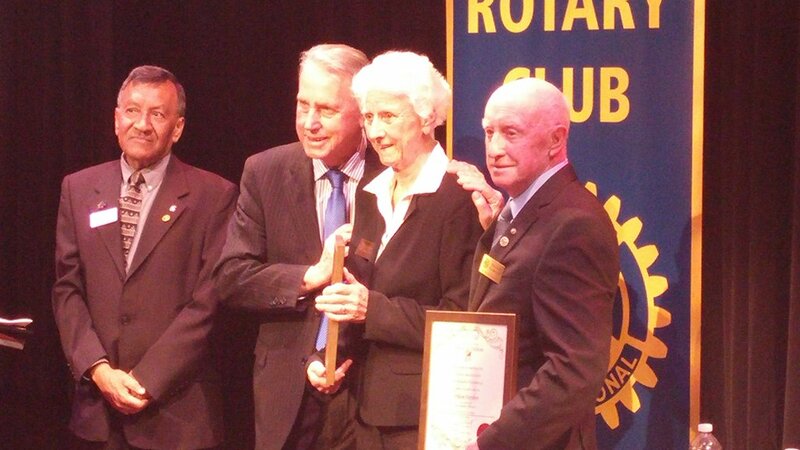 Congratulations to Bill and Margaret Hamilton on their recognition from Milton Rotary Club with President's Awards for loyal and dedicated service to the club, and from the Town of Milton's Mayor Gord Krantz. 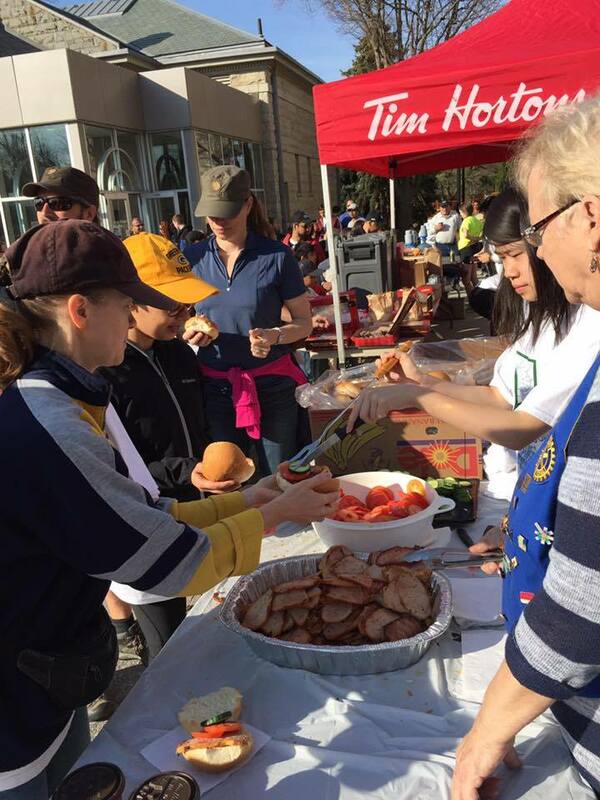 2016 Good Neighbours Community Clean-Up Day - Congratulations to everyone from Milton Rotary Club on a job well done this morning, to the Rotarians who cooked breakfast for all of the volunteers, and then afterwards went and cleaned up several of the client homes for Community Living North Halton's developmentally delayed. Thanks to everyone! Great teamwork for Milton's Annual Good Neighbours Community Clean Up Day... overall 800 volunteers I heard cleaned up the town! 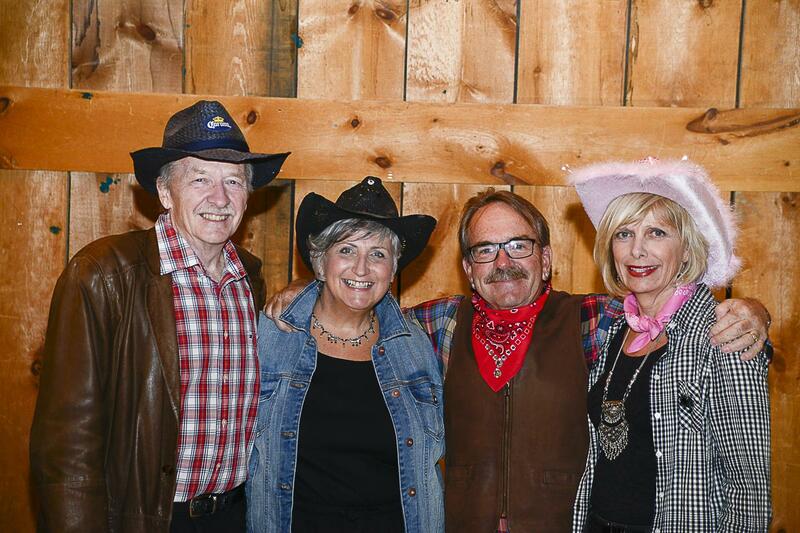 ​150 Rotarians, friends and family came out to Gambrel Barn at Country Heritage Park. 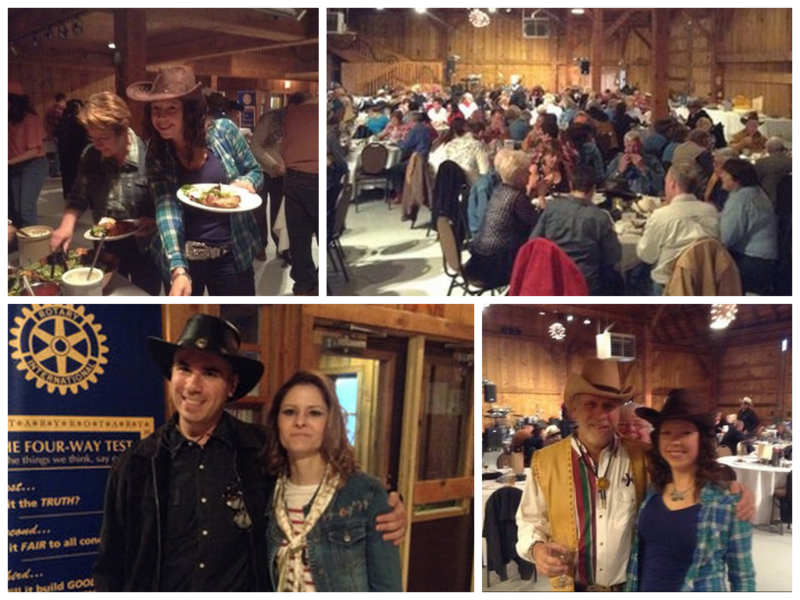 Everyone enjoyed dinner, dancing and denim! They dressed up in their finest Western wear. 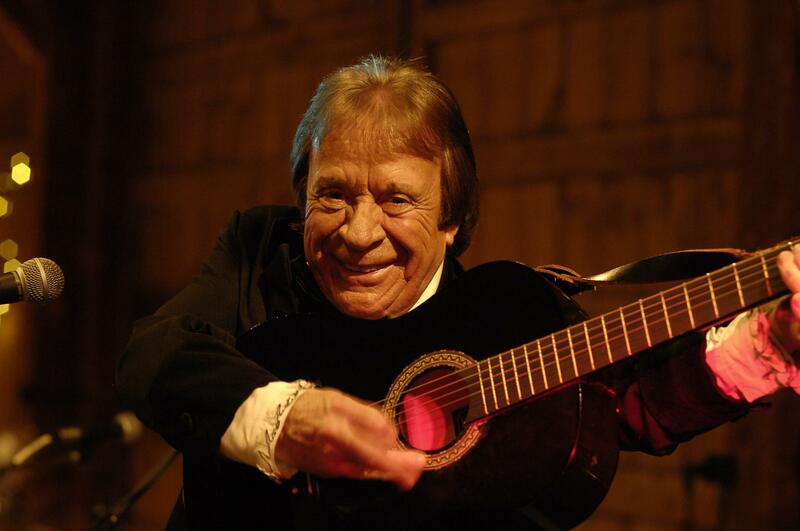 They enjoyed showed Johnny "Counterfeit" Cash, line dancing and traditional dancing too! There was a live band in the house called "Bad Weather". Everyone enjoyed dancing the night away and bidding on the live and silent auctions. 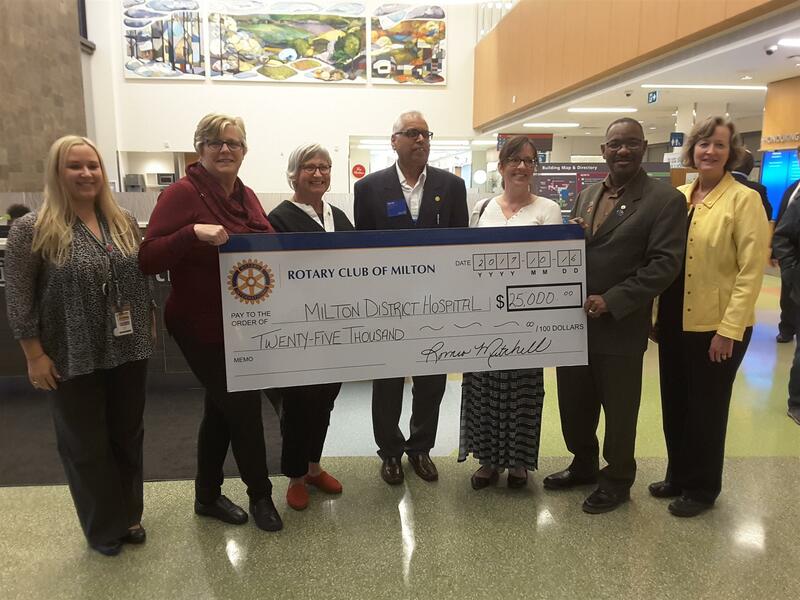 Net proceeds went to support Big Brothers Big Sisters of Halton (Milton In-School Mentoring Program to help our youth), and to other worthy Rotary projects! MILTON, Ont. (August 24, 2015) — Two students are on a trip of a lifetime after Milton Rotary Club helped facilitate one-year youth exchanges in Brazil and Switzerland. Fifteen-year-old Miltonian Cameron Dickie from Craig Kielburger Secondary School left for Alpnach, Switzerland on August 9th after being selected last fall by the Milton Rotary Club as its candidate to travel overseas. As chance would have it, Georgetown’s Rotary Club was having difficulty tracking down a suitable candidate and asked the Milton club last fall if they had any additional candidates. 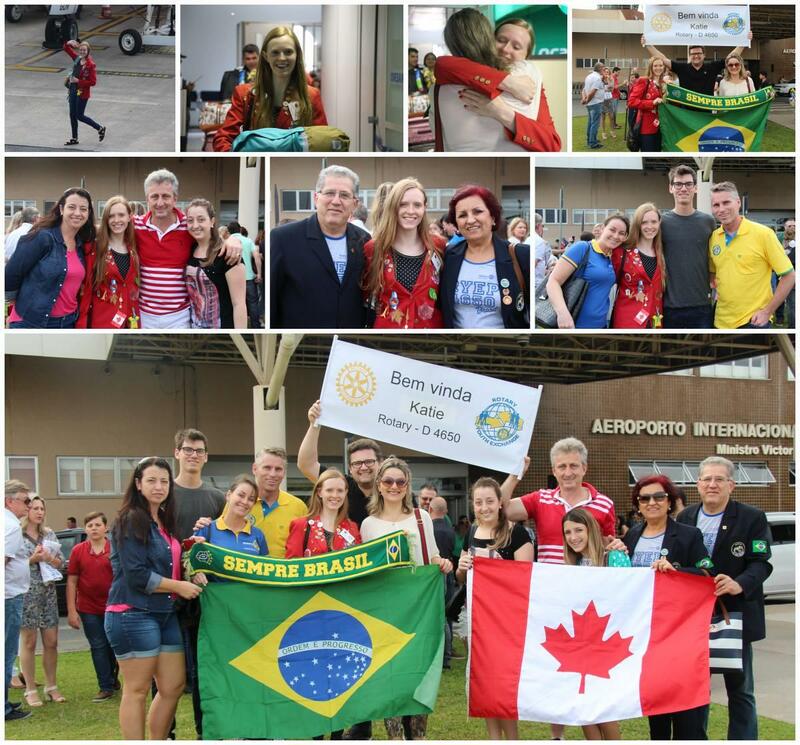 Consequently, 18-year-old Miltonian Katie Fry, a graduate of White Oaks Secondary School, was chosen to represent Georgetown and recently departed for Blumenau, Brazil on August 7th. 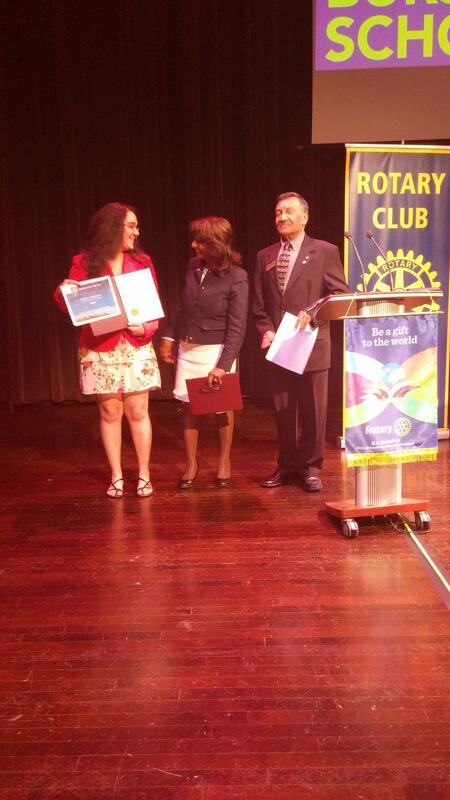 Rotary’s program requires that if a club sends a student outbound, that club must host an inbound student. On Saturday, August 22nd, Milton Rotarians greeted 16-year-old Miki Nagano from Kanazawa City, Japan at Pearson International Airport. Milton Rotary Club will once again be seeking interested high school students for our international youth exchange who are between the ages of 15 and 18 at the time of their expected departure in August 2016. Those prospective students can contact the club through its website www.MiltonRotaryClub.com and apply by October 31st for the 2016 exchange. This event was a smashing success. The doors openned at 6:30 pm at the Gambrel Barn at Country Heritage Park. After the cocktail reception, guests enjoyed a delicious dinner with guests of honour including Milton's MPP and Rotary District 7080 Governor Patsy Marshall. Dressed up in denim and diamonds, everyone hit the dance floor to learn line dancing and also to just bust a move with some traditional dancing as well. The live band was excellent. 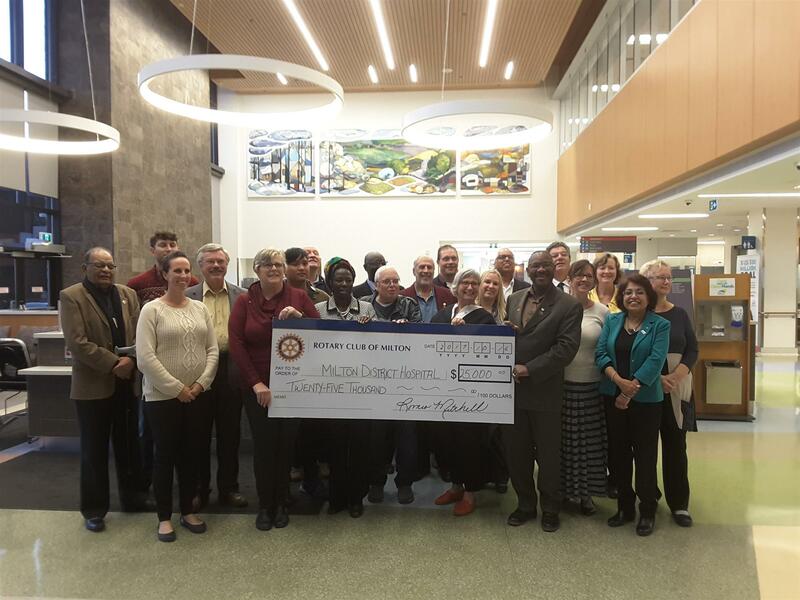 Net Proceeds went to Support Tim Horton Children's Foundation (sending Milton youth for leadership training at their Tim Horton Camp), and to other worthy Rotary projects! Rotary International runs the largest youth exchange program in the world and in August 2014, Milton Rotary Club welcomed its latest exchange student from Finland, Janette Eronen. Since 1968, the Milton Rotary Club has hosted 52 students from 20 countries, and since 1973, they have sent 48 students to 19 countries. If you are a Milton high school student going into Grade 10 or Grade 11 this year and are interested in spending a year abroad starting in August 2015, please contact us. Application deadline is October 31, 2014. Milton Rotary Club members served nearly 700 residents who came to check out the grand opening of Milton's newest green space, Sherwood District Park, on Saturday, August 9. 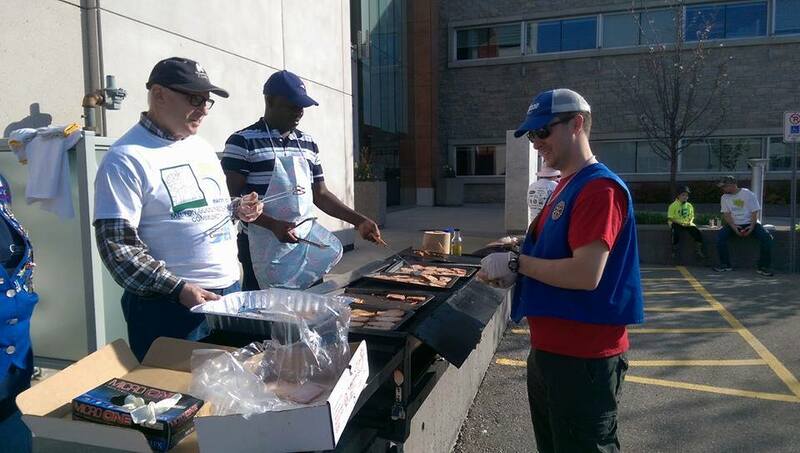 Rotarians volunteered their time and barbecue from 9 am to 2 pm and served nearly 700 people from 11:30 am to 2 pm at the free barbecue event hosted by the Town of Milton. It was the biggest park opening in the Town's history. The Milton Rotary Club has a long history of supporting parks. In the 1950's the Milton Rotary Club purchased the land that would later become Rotary Park in downtown Milton. After years of fundraising the park was not only paid off, but a pool was built and many other amenities. A lot of Rotary sweat equity went into the building of the park in the 50's and 60's. While Rotarians work hard throughout the year to help the community, Milton's youth and international projects like the eradication of polio, summers are a time to network, socialize and enjoy some good food with friends. 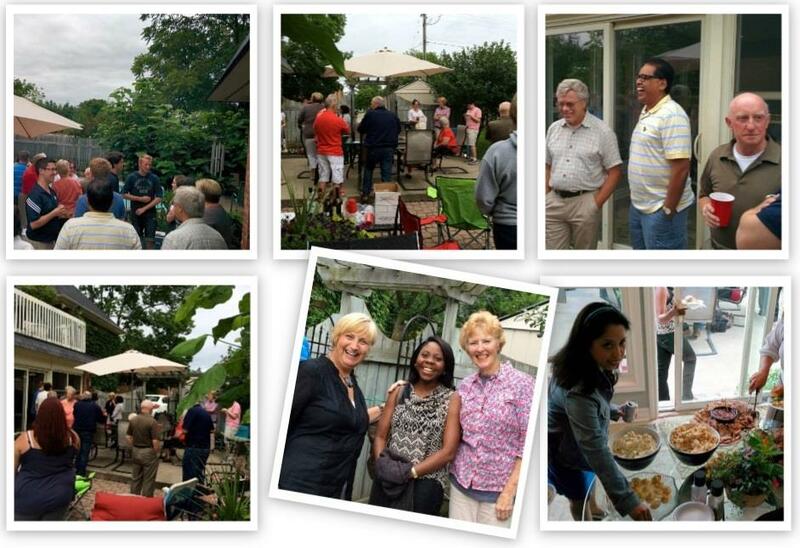 Here are some snapshots from our 2014 Summer Barbecues. 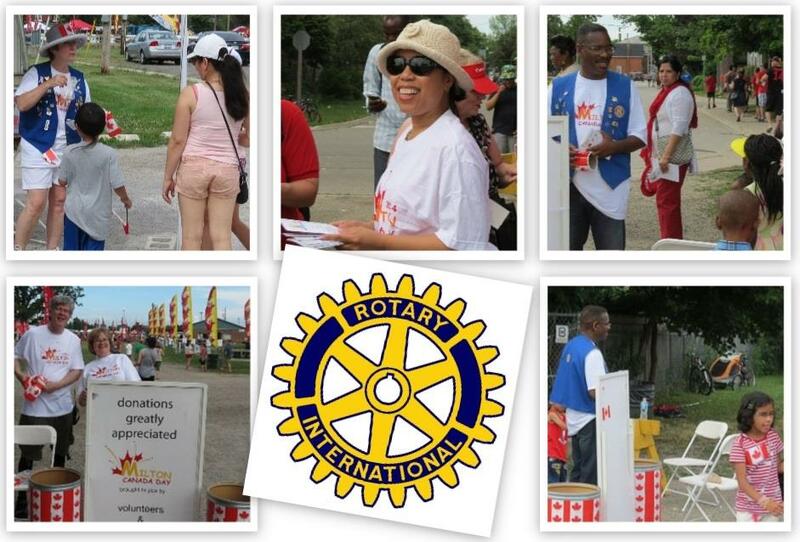 On Canada Day, members of The Rotary Club of Milton were out in full force, doing their civic duty by helping the Canada Day Committee raise funds for the operation of the festivities and fireworks at the Fairgrounds. Rotarians volunteered their time throughout the day and into the evening to help collect donations in buckets at the entrance gates to help defray expenses for the event. They also helped out at the Canada Day parking lot with vehicles entering and exiting the busy event. Special thanks to the Canada Day committee for running this fantastic event and for allowing us to help them recoup some of the costs so that all Miltonians can celebrate Canada Day's birthday. Rotarian Blanche Hinton (right) is joined by a Milton elementary school principal as she discusses Rotary's program that gives dictionaries to 1,500 Grade 3 students. (Milton,Ont. 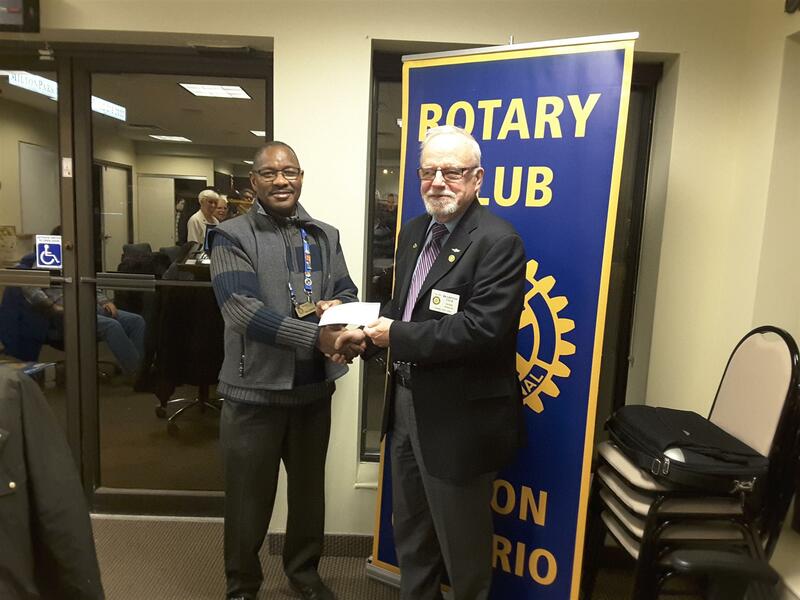 : 30 June 2014) – Milton's Rotary Club is giving a dictionary to every Grade 3 student in Milton for the third year in a row to promote literacy amongst our youth. The Milton Rotary Club's annual literacy project is now complete and every Milton Grade 3 student will be the beneficiary. The project is spearheaded by Rotarian Blanche Hinton who visits nearly every public and Catholic school in Milton and hand delivers free dictionaries. The campaign is just one of many initiatives focused on Milton youth. In 2014, Rotary gave 1,523 dictionaries to Milton students in Grade 3 at 21 different schools. Above Rotarian Rick Saxby (L) and Ries Boers (R) join the winning members of the "Rotary Ringers". 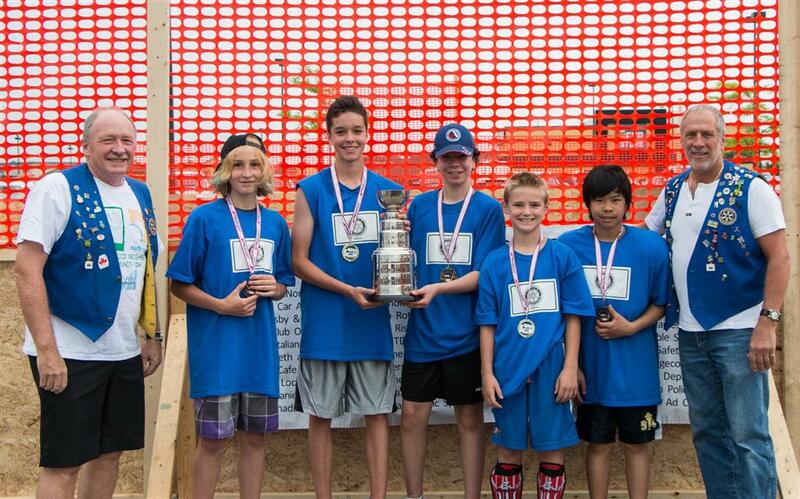 Some Milton Rotary Club members chipped in $100 each and sponsored a team at the second annual Game On Ball Hockey Tournament for Kids on June 7-8 in Milton. And wouldn't you know it, Team Rotary won the 11 to 13 year old category. 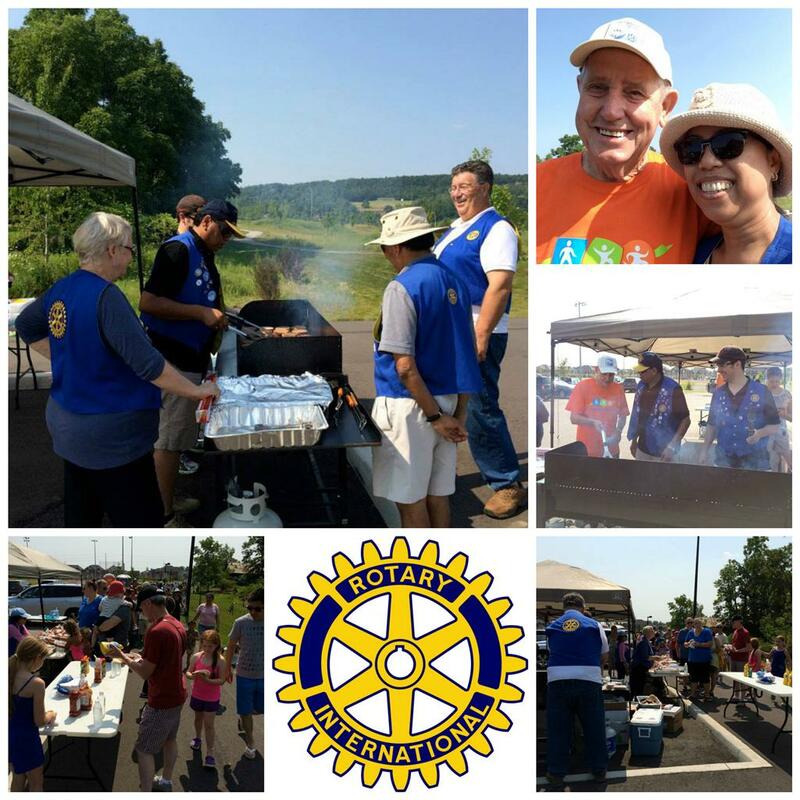 Special thanks to the Rotarians who ran the barbecue for the kids and parents on both days and for the Rotarians who sat on the tournament's organizing committee again this year. When the kids win, we all win. Over $6,000 was raised at the event this year for The ROCK (Reach Out Centre for Kids), which helps provide counseling, support and resources for Milton kids with mental health issues and psychological concerns.